Old BlackBerry maker Research In Motion isn’t doing too well in the mobile arena lately, but they continue to fight their corner with new devices such as the BlackBerry Torch 2, and although thus far still unannounced, what we have for your viewing consideration below is a comparison video between the original BlackBerry Torch and its successor. The BlackBerry Torch versus the BlackBerry Torch 2 comparison video comes our way courtesy of Jon Rettinger over at Technobuffalo and delivers eighteen minutes of comparing the two BlackBerry devices, although it has to be said that the BlackBerry Torch 2 is a pre-production version so stuff could change when it hits the streets. Jon says obviously the Torch 2 is going to out perform the original Torch, but the big question is by how much, and he sets about trying to find out in the video below. We know that the BlackBerry Torch 2 is destined to play nice on the AT&T network sometime in August, which AT&T is calling the BlackBerry Torch 2 4G for whatever reason as we’ve previously reported. Spec wise the BlackBerry Torch 2 is said to offer, quad-band GSM/GPRS/EDGE, tri-band HSPA 14.4Mbps, with a 3.2-inch VGA touch screen, horizontal sliding QWERTY keyboard, NFC, GPS, Bluetooth 2.1, a 5megapixel camera with flash, 512MB RAM, 8GB built in memory, accelerometer, proximity sensor, magnetometer, OpenGL ES, and runs BlackBerry OS 6.1, although apparently the device will now come out to play with BlackBerry OS 7. On the design front the BlackBerry Torch 2 maintains the same design as the original BlackBerry Torch albeit now sporting a matt silver finish to make it somewhat more appealing I guess. 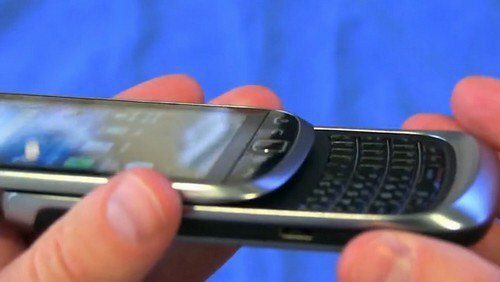 However, which BlackBerry Torch will deliver the better experience, better web browsing, better display, and boot faster? Is the BlackBerry Torch 2 a device worth considering upgrading to if you already own the BlackBerry Torch? We if you know me by now, you will already know I’m not going to answer those questions as it would simply spoil your viewing enjoyment of the footage, and so I will leave it right there and let you head on down to hit that play button and check out the BlackBerry Torch versus the BlackBerry Torch 2 comparison video fight. Enjoy the footage and please feel free to let us know if you agree with the video’s findings or not, and whether you intend on picking up the BlackBerry Torch 2 by posting us a comment in the area below…again, enjoy.